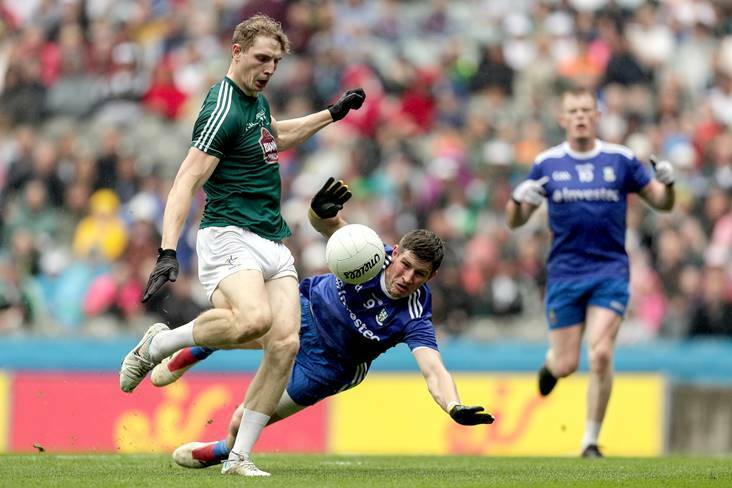 Kildare's Daniel Flynn scores a goal despite Darren Hughes of Monaghan during their side's All-Ireland SFC quarter-final phase 1 clash at Croke Park. Daniel Flynn has been named as the Kildare senior county footballer of the year. The news comes after the talented Johnstownbridge clubman revealed earlier this week that he may not play inter-county football next year in order to concentrate on his university studies. The U20 county footballer of the year is Jimmy Hyland, who was the scoring star of the Lilywhites' All-Ireland U20FC success, while the club senior footballer of the award goes to Aaron Masterson of Moorefield. Clane's Paddy McKenna is the senior county hurler of the year. The Kildare GAA Awards Night takes place on next Saturday, November 17 in The Osprey Hotel, Naas. The Kildare GAA Awards Night takes place on Saturday 17th November in The Osprey Hotel, Naas.